Gemütlichkeit is a German word used to describe a space that's friendly, warm, inviting...One that fills you with a sense of belonging and peace of mind, just like you're home with family. And I believe that is exactly how the new CoCo Crêpes is going to feel once it opens. What is CoCo Crêpes?? 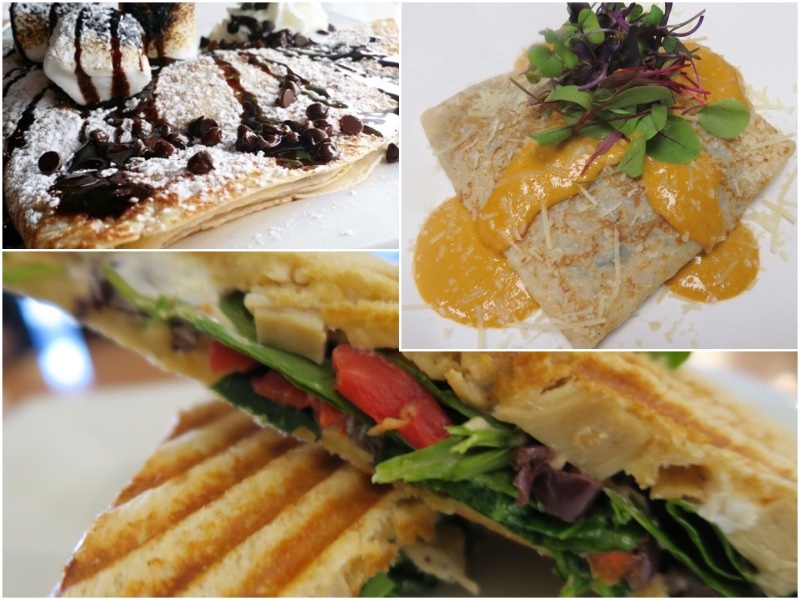 CoCo Crêpes, Waffles & Coffee is a European fusion cafe and creperie with a menu that truly satisfies any craving. 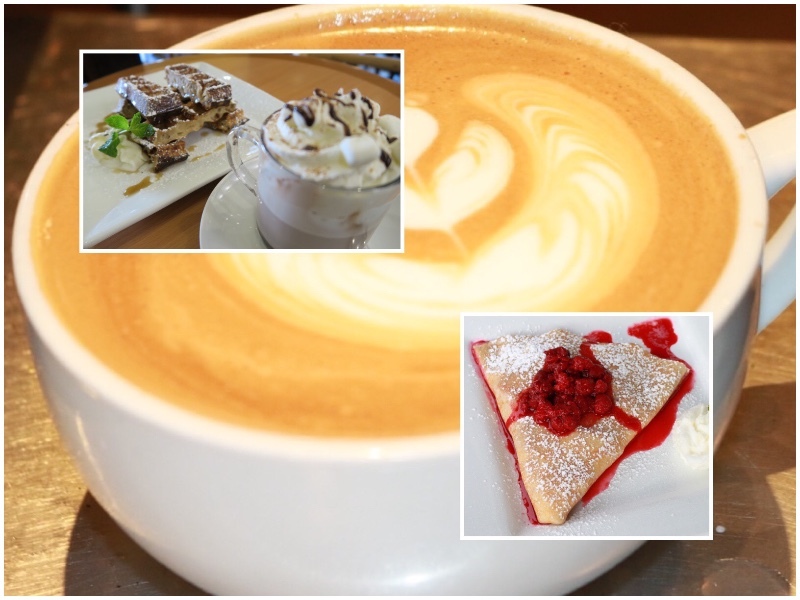 From specialty teas, coffees, paninis and waffles, to sweet or savory crepes, your daily food fix can be found at CoCo Crêpes. "We wanted to open a very relaxing place, close to our home here in The Woodlands, that customers would love to visit as a treat to themselves," said Shannon." "It'll be gemütlichkeit!" piped in Stefan. I immediately had to ask what that meant, and why he was hurling German at me. Turns out, Stefan was born in Germany, and lived there into his teens. They explained to me about European cafe culture, coffee and cake time in the afternoons in Germany, and they even described in detail the cafe his grandparents would take him to when he was young...The same cafe they both visited with their own children in recent years. That euro-cafe feel will be prominent not only in the menu at CoCo Crêpes, but felt throughout the entire location thanks to the Colhouns hiring local artist & designer Cory Wagner. Cory, owner of Dump Truck Design, is using reclaimed wood and other recycled material to decorate the cafe. He's even repurposing old train cars for the tabletops. I can't wait to see his work in person...It sounds neat! 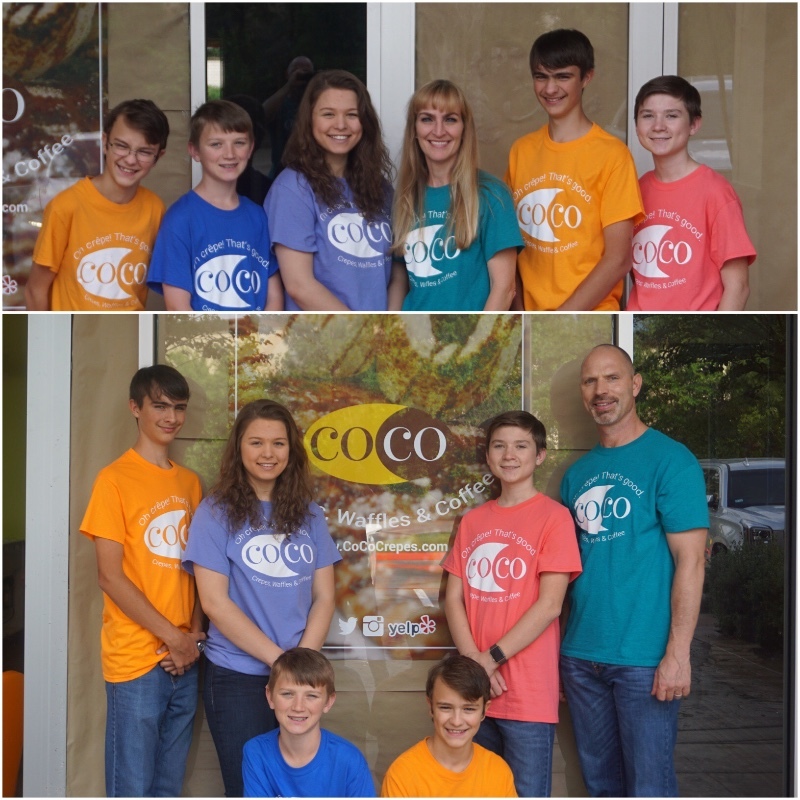 The Colhoun kids had a lot to do with their parents' new business venture as well. Shannon and Stefan both have corporate backgrounds, and they wanted to teach their children the value of owning their own business, and possibly give them a career alternative to the corporate life. 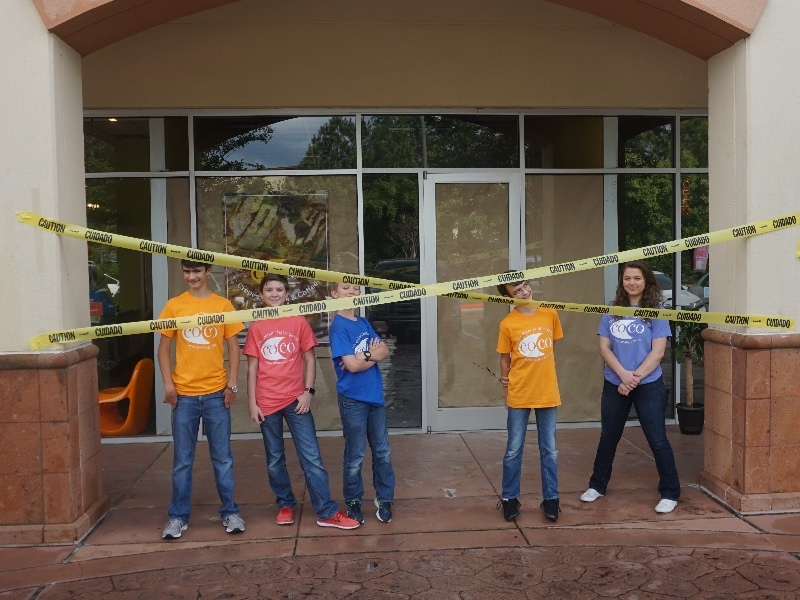 Even though their tentative June 5 opening date is over a month away still, the Colhouns are already talking about the possibility of opening a second CoCo Crêpes location in The Woodlands. Could it be at the mall?? Or maybe across the highway?? Either way, I'm sure it'll be just as "gemütlichkeit" as their first one is shaping up to be. 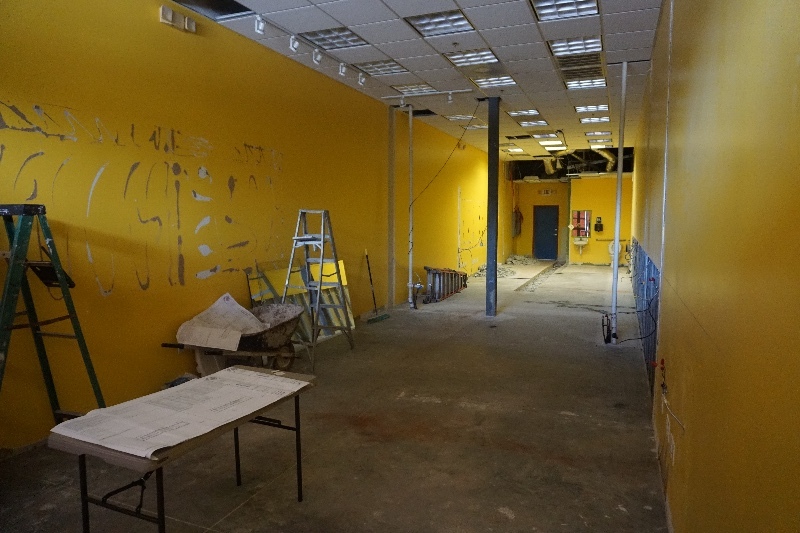 Good luck, Colhouns...We can't wait to try your crepes!